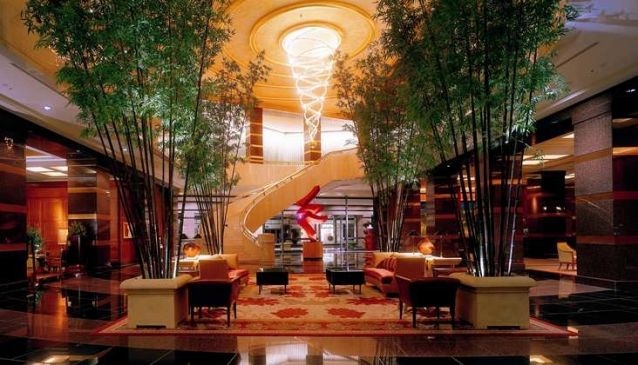 The grand allure of Conrad Centennial Singapore, is undeniably a standout gem in the ever lively Marina Bay. A popular choice amongst business and leisure travelers alike, the hotel provides an unforgettable experience for its guests. The large marble staircase is perhaps an indication that more is yet to come for its guests, as they travel their way up to the luxurious rooms, each fitted with an all marble bathroom. Its a truly elegant hotel stay, topped up with a scrumptious buffet spread at the Oscar's, signature dim-sum at The Golden Peony, or simply a delightful afternoon tea at the Lobby Lounge.